This is Wilfirs Completed STACKiT fencing. STACKiT fencing can be simply slotted between two Plastic / Concrete or nailed to two timber posts. Each section is 300mm (1ft) high so Fence can be built to any height with any combination of Timber, Concrete or Plastic gravel boards. 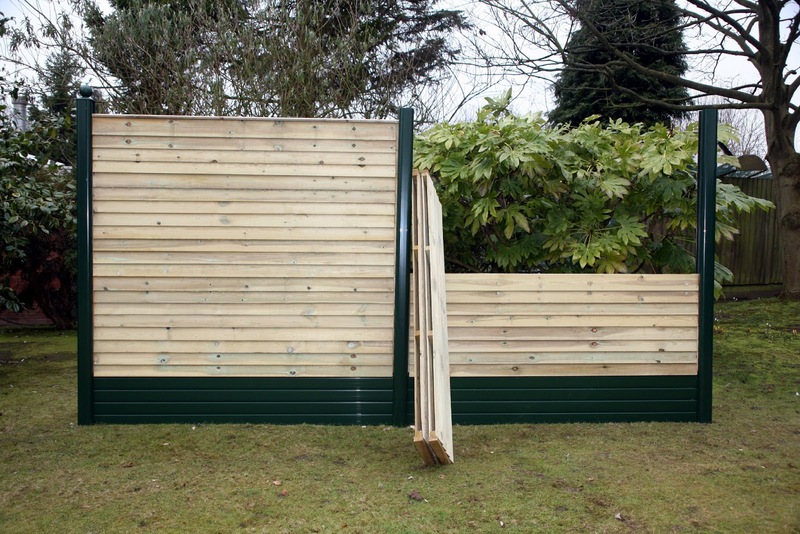 Each Section of STACKiT fencing has a double sided construction. This is Ideal for when both sides of the fence want to see the good side. Other benefits of double sided construction are far stronger than normal fencing panels, totally peep proof and high acoustic sound reduction properties. Ideal against roads or other noisy situations. If one side gets damaged it remains peep proof and secure and can then be easily repaired. High level of security as there are no rails to enable people to climb the fence.